For me, spring brings museum catalogs and online searching for a wrist watch that reflects the new year. If you like art, you know that an object's provenance is part of its appeal. This can transfer to museum retailing as well. I especially like the way art museums' digitally merchandise their jewelry. The "SHOP" factor is an immediate draw on their websites. My response comes from an interest in art history, fashion, finding new interpretations of classic or modern art motifs and personal time spent in Los Angeles at the Fashion Institute of Design and Merchandising. 1. Whitney Museum, New York City: Forget traditional watch complications. Think algorithms! 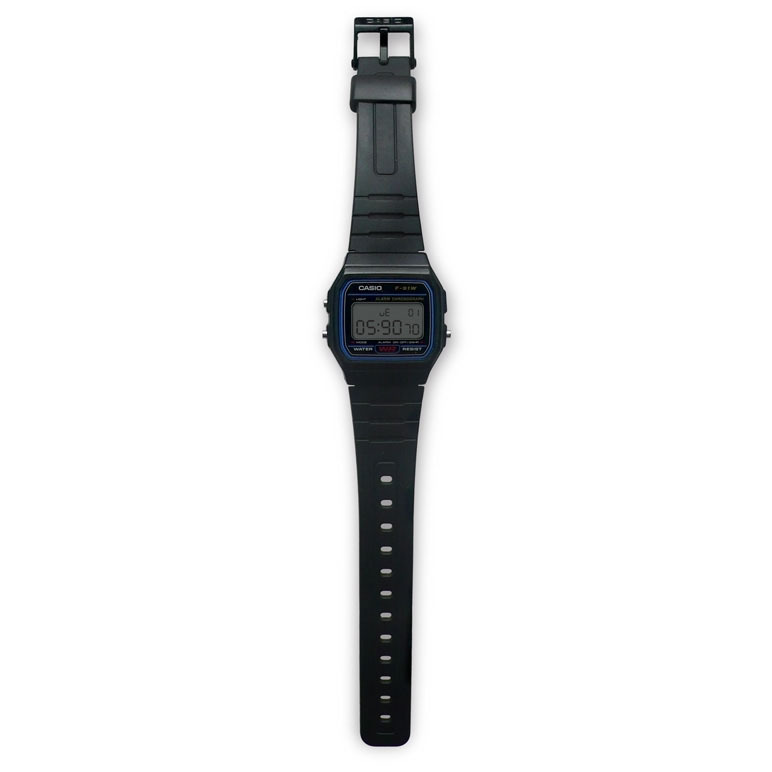 This watch was conceived by Mark von Schlegell, science fiction writier and is based on his story, "Fainnie Azul" which is available as one of the 2014 Whitney Biennial Semiotext(e)'s pamphlets. According to its online product description, "the timekeeper features a cosmological odometer, indexing in km/second as the Earth speeds through the cosmic background radiation: the one universal reference in a space-time defined by relativity." And the watch has a color dimension too! "The watch face is temperature sensitive and will turn to a deep red when the temperature drops below aprox 80 degrees or so. When it warms up it will turn to grey." Kudo's to the Whitney for its product description and Biennial tie-in. The Biennial runs from March 7- May 25, so there's still time to catch it. 2. Museum of Fine Arts, Boston: Looking for a fashionable combination of color choices and organic materials? The Blue Dial Cork Watch has a large (1.5"diameter) corn resin case and natural cork strap with organic cotton backing. The dial offers a color choice in blue (shown) as well as pink, yellow and green which is complemented by a skeleton hour/minute and stick sweep second hand in the same color as the dial. Inside, the watch is powered by a mercury-free battery. Kudo's to the MFA Boston for offering us a bold time piece that makes an ecological statement inside and out. 3. Museum of Contemporary Art, Chicago: Leave it to the Midwest to highlight the "Past Present and Future Watch, a unisex reminder that THE NOW can always be boldly with us. The word, "PRESENT" is highlighted at six o'clock in bright red The watch is designed by Daniel Will-Harris and is made of solid stainless steel. Mr. Will-Harris is best known for his connection with the Museum of Modern Art in New York City which describes him as "a computer graphics pioneer." If you like his particular riff on time, he's got other time self-referenced models as well aptly named, "Foretell" and 'Till.'" Kudo's to MCA Chicago for giving us a sporty play on time itself to wear as a reminder that the present is always with us, but that the past and future always surround it. 4. Dallas Museum of Art: True to Texas life, all things are just bigger in the Lone Star State. So I've enlarged the Edward Hopper Women's Watch to show the the image on the dial -- that of a detail from Hopper's Perkins Youngboy Dos Passos, (1941), one of Hopper's drawings held by the Whitney Museum and exhibited in its 2013, Hopper Drawings show. This is a dial with a cat with a great name!John Dos Passos was Hopper's neighbor and friend on Cape Cod. Now we can share that friendship as well all the time. Kudo's to the DMA for giving us a licensed image from an iconic American painter who captured repose so artfully, something all of us need to be reminded of from time to time. 5. 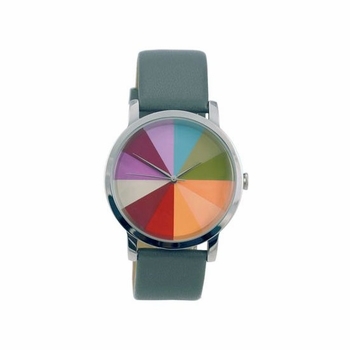 San Francisco Museum of Modern Art : Far from 50 Shades of Grey, this unisex watch has a vibrant color palate dial and comes with either a black or grey band. It's watch face is 1.5" in diameter. West Coast fun at its best. Enough said. Time to play! Send me your own top art museum shop watch picks--the more time zones we can cover the better!